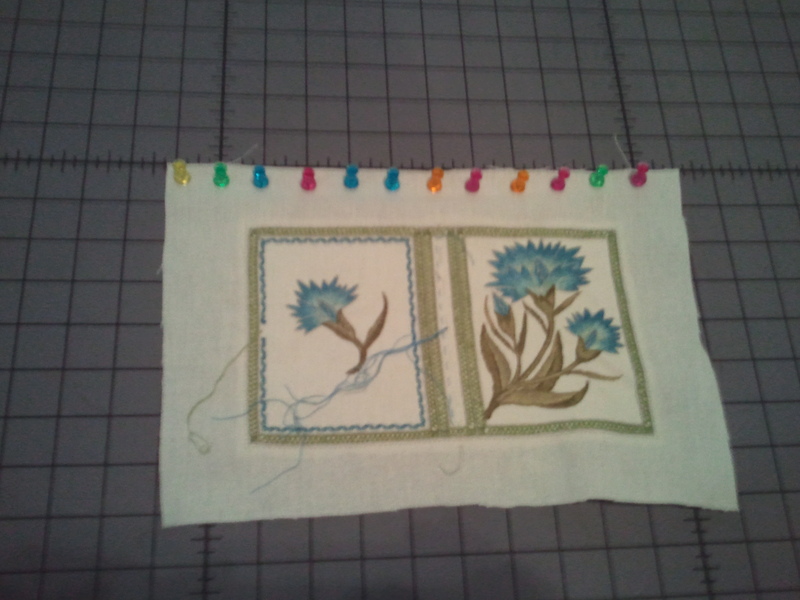 I finished the needlebook cover last night, and in a strangely timely manner, Mary Corbet featured a post on damp blocking finished embroidery this morning over at Needle ‘n’ Thread. (If I seem to link to her site often, it’s because I find it extremely informative. Like having a friendly and knowledgeable stitcher in my computer.) The back cover of the needlebook came through the stitching process pretty smoothly, but the front, which is more heavily embroidered, got distorted. I used a Q-snap frame for this piece. Perhaps I have a heavy stitching hand, but I found myself having to tighten the fabric pretty often, and that may have contributed. The quality of this picture is not great (sorry!) but you can see the wibbliness of the embroidery on the right. For stage two, I pinned it without mercy. Much better! I misted it with water, and am now leaving it alone until it dries. Then it’s on to the assembly, which is going to feature a certain amount of trial and error. 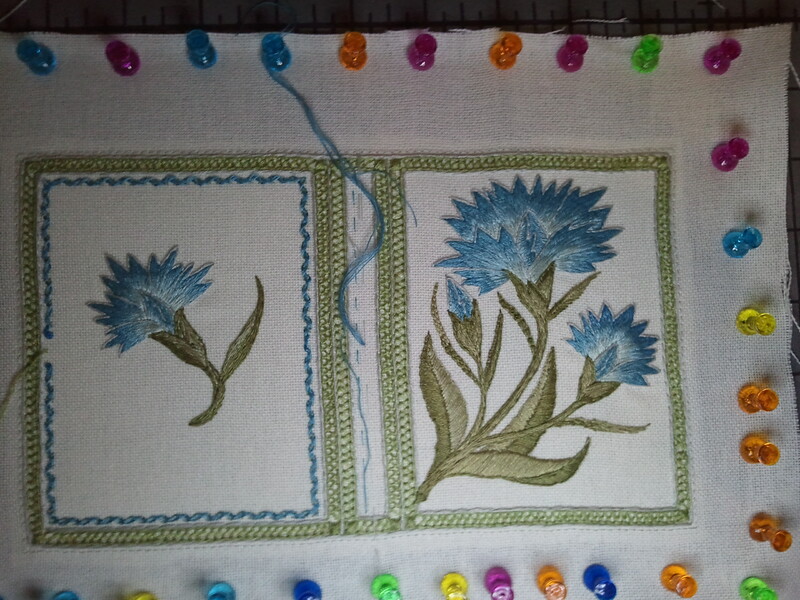 This entry was posted in Uncategorized and tagged carnation needlebook, embroidery, finishing, flowers, needlebook, surface embroidery by Rene. Bookmark the permalink. I can see where circles would be a challenge. Definitely worth ignoring the lecture to have gareth do it for you!